Lightweight 4U size super headlight design, lightly shake and fly greatly. It is a racket for beginners to intermediate people. Because the shaft is not too hard, it is just soft, so women and children can respond quickly to speedy depending on practice. 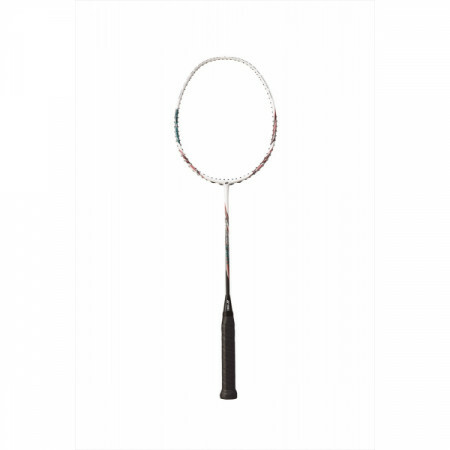 I think that it is a perfect racquet for beginners' control practice. Also grip is not too thick, it is a light racket so it can be handled easily by people with small hands and weak grip strength. EDU	（Experience：４〜５ years）	It is recommended for attack type players. Because it is made lightly anyway from design, you can shake it lightly anyway. The shot feel is also soft and compact, enabling high-performance speed shots with a compact swing. I think that it will further increase the play of the attack type player. For beginners, I looked for a light and easy to handle racket. I think that it is easy to use because it is cute, light, and headlights because it is pink. I think that it is rather a racket for women. Or it is for junior. Recommended as the first one. It is easy to switch off the offense, I feel that the superiority is high in that it can handle carefully even intense rallies. When releasing a high speed smash from a sharp angle, since the grip is stable, less blurring is necessary. Benefits are also great in terms of affordability and economy. It is a racket with high operability and cost performance commensurate with your own abilities. Light weight with carbon frame and shaft, arm is less tired easily for playing time. Because it adopts high elastic carbon, it will fly greatly even with a small force, small swing. 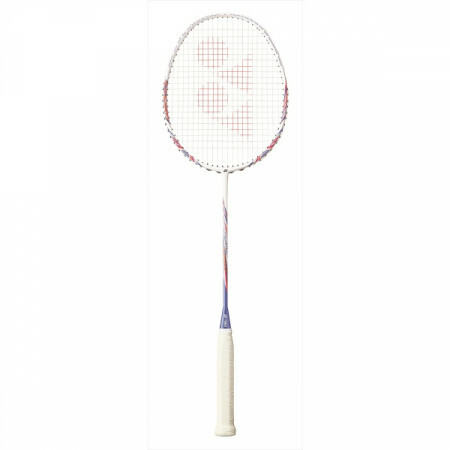 Since elementary school kids started badminton, I bought it for children, but sometimes I even try to use myself. It is very light and head light, so we have good handling anyway, so it's a very soft shot feeling so I am flying very clearly. I feel that it is a racket anyhow easy to use. However, when used by an adult man, I think that Smash does not depend on it a little, and I think that it feels a little difficult to fly such as early clearing. I also liked coloring because it was recommended from the beginner to the intermediate level, and I bought this racket with satisfaction in terms of performance as well. The feeling of use is very easy to handle and I am satisfied.